Designed to Last Tough, rugged full metal casing is ideal for today’s dynamic warehouse, distribution and manufacturing environments. Economical and Reliable Economical price along with high reliability makes the 3400 a printer of choice for applications requiring distributed printing. Flexible A variety of operating modes such as tear-off, label auto-peel, and cutter attachment, ensure long-term flexibility. World-wide Languages The 3400 provides expanded on-board global language support and standard support of most 2D bar code symbologies. Our best selling printer just got better. Meet your requirements for a value-priced, versatile printer with Intermec’s most popular printer. 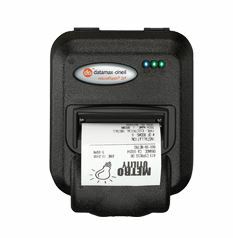 The EasyCoder 3400 with its 11.43 cm (4.5″) maximum label width, unlimited label length and 203 dpi resolution makes it suitable for most of today’s bar code label standards. It’s also reliable enough for all but the very highest production environments. Featuring metal construction, the 3400 is built for the toughest environments. 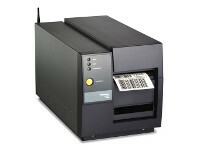 Current 3400 series users will see many enhancements over earlier 3400 series printers. The 3400 now comes with Intermec’s new powerful IPL3™ printer language with GLOBE™ worldwide language support. GLOBE™ allows the printer to automatically adjust to character mapping standard, including those for Asian doublebyte fonts. In addition, the UNICODE standard language and other well known character mapping standards such as ASCII, Shift-JIS, Big 5, GB and IBM Codepage are all intelligently self-managed and do not require an external font card. Popular 2D symbologies have also been added as standard features. Overall performance of the 3400 has been enhanced. Print speed has been increased from 5″/second to 6″/second and RS-232 serial port communication speed has been doubled. A heavy duty cutter with tray option is available on the 3400D. Of course, the 3400 is fully backward compatible with 3400A/B/C printers and is backed with Intermec’s 12 month warranty. 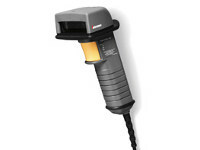 It all adds up to a powerful printer that is designed and built to be the right solution for the majority of industrial bar code applications. 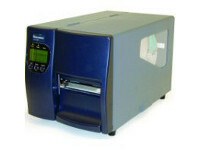 General Purpose Industrial Direct Thermal/Thermal Transfer Printer. 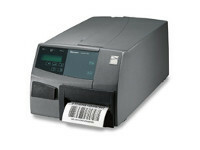 Prints high quality bar codes on pressure sensitive labels and tags in straight through mode. Length: 13 to 610 mm (0.5 to 24″); fanfold 432 mm (17″) max. Command errors and printer status are easily identified to your host. Bitmapped using printset: All single-byte codepage; All double byte codepage.